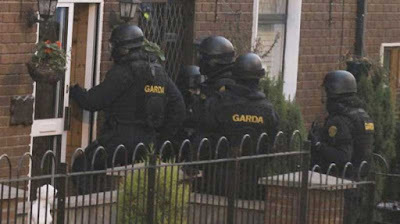 The Garda Siochana Ombudsman Commission has asked gardai to carry out raids on homes at “reasonable” hours so as not to disturb the occupants of the house they are searching. The suggestions follows a complaint to the garda watchdog from a family whose west Dublin home was raided at 3:15am as part of an investigation into the alleged theft of vehicle accessories. A GSOC investigation was carried out following the complaint, which concluded that while there was no malpractice by the gardai involved, 3:15am was an unreasonable time to conduct a search of this kind. As part of the case, GSOC referred to a report issued by the Law Reform Commission last December which proposed that gardai undertake a code of practice where searches are conducted at a “reasonable time”. The garda watchdog has now asked gardai to adopt this code of practice, while there is yet no regulation that prevents officers from conducting raids in the early hours. Searches of property are permitted at any time once gardai have a search warrant given by a District Court judge, which officers believe is essential in order to locate suspects and conduct satisfactory raids. “It’s a nonsense to suggest that houses can only be searched during daylight hours. “If we believe someone has a gun hidden in their attic should we wait till everyone is out of bed before we try to seize it?” said one officer. Senior barrister Paul Anthony McDermott noted that is generally accepted that raids of private property should only be carried out during regular hours. “The purpose of a search is to gather evidence, it’s not a tool to annoy someone suspected of crime or bring pressure on them. It should always be done in normal working hours unless the gardai believe there are certain reasons why it’s urgent, such as a drug transaction is about to take place. There must be a particular reason why a search must take place at night,” he said.